Rashmi Shukla, Addl. DGP & Commissioner, State Intelligence Department, Maharashtra State, Mumbai joined the Indian Police Service in 1988. After completing training at National Police Academy, Hyderabad she joined the Maharashtra Cadre. As DIG looking after crime against women she started Women Counselling Centres in various districts in Maharashtra to provide counselling to women and girls in distress. She also acted as coordinator with Govt. of India after terror attack of November 2008. At present she is now posted as Commissioner of Intelligence, Maharashtra. As Head of Intelligence Department she is also supervising Coastal security of Maharashtra the most vulnerable area which was used twice by terrorist to carry out terror attack on Mumbai. 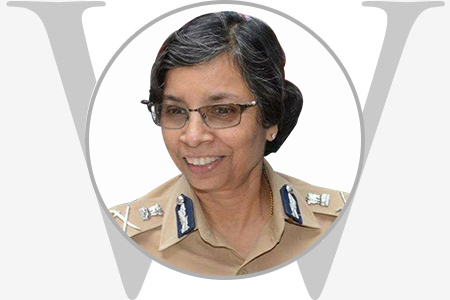 For her outstanding performance Rashmi has received DGP’s Insignia in 2004, President Police Medal for Meritorious Service in 2005 and President Police Medal for Distinguished service in 2013.